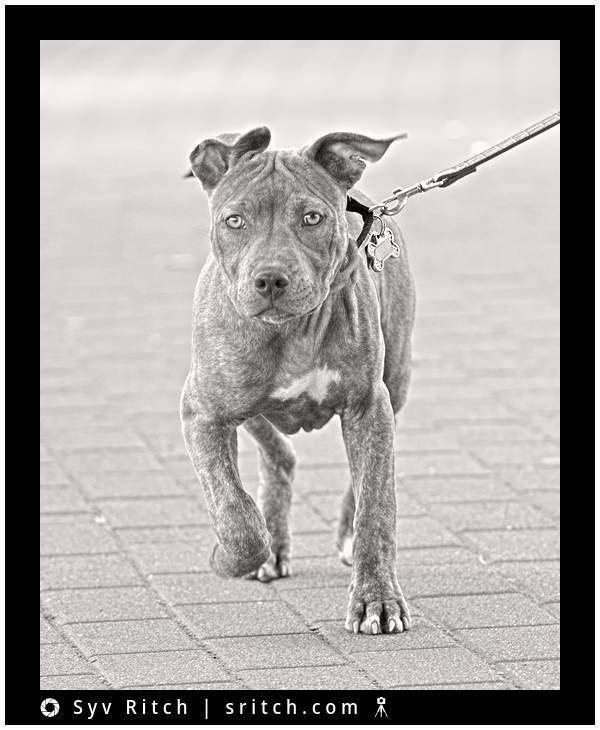 This will become a very powerful pit bull. No fear in the eyes. He is not afraid of the confrontation and will not back away. I wonder how old he is? I would guess between 6 month and 9 month old.